Youth Leadership in Sustainability (YLS) is an innovative new educational program that prepares secondary students for leadership roles in pursuing sustainability at the local and global levels. The one-semester program is based in the Kawartha Region of Ontario and represents a partnership program with Trent University, the Kawartha Pine Ridge District School Board, the Kawartha World Issues Centre (KWIC) and Fleming College. Cam is the founder and program director of YLS and is thrilled to teach the World Issues, Environment & Resource Management and Sustainability Leadership courses within YLS. He cherishes his connection to the natural world and is deeply concerned about mounting threats to the planet and its inhabitants. Cam has been an educator for over 20 years. He began his teaching on the North Coast of British Columbia and has since taught within the Canadian/World Studies Departments at Peterborough Collegiate and Vocational School (PCVS) and Kenner CVI in the Kawartha Pine Ridge District School Board (KPRDSB) since 2004. Cam’s teaching practice enables students to make links between their own lives and communities, and larger global sustainability challenges. Central to Cam’s approach is that students see themselves as agents of change: identifying problems and generating creative solutions, to shape their own future. Cam has been the staff coordinator of many social justice and environmental extra curricular clubs at PCVS and Kenner, and in 2009 was awarded the (Provincial) OSSTF James Forster Human Rights Award. Extensive travel has broadened Cam’s understanding of global issues. Three years ago, he and his wife Yvonne and 2 children Kaia and Jake (13 & 12 yrs old) put backpacks on and travelled the globe for 10 months in search of sustainability leadership. The final 7 weeks of the trip were spent cycle-touring through Germany, Holland and Denmark exploring the remarkable sustainability best practices of the region. Previously, Cam has taught on Class Afloat, volunteered for 6 months in Sierra Leone, West Africa with Canadian Crossroads International, and spent a year with CUSO teaching and teacher mentoring in Namibia, southern Africa with his family. Cam has led high school trips to Sierra Leone, West Africa and to France. Cam is active with local community-based sustainability issues. As a member of the Peterborough Greenspace Coalition, he has co-led ongoing advocacy efforts to promote more sustainable alternatives to the construction of the Peterborough Parkway. Cam is an active member of the Peterborough Bicycle Advisory Committee, regularly presents to City council on local issues, and has well established relationships with local sustainability-themed organisations in the government, non-government and private sectors. He was part of a small team that applied recently and successfully to have Peterborough-Kawartha-Haliburton designated as a prestigious United Nations “Regional Centre of Expertise (RCE) for Education for Sustainable Development.” Cam maintains strong working relationships with many of Peterborough’s City councillors and our MP. Cam’s formal training includes a B.A.Sc. (System Design Engineering — Environmental Modelling) U. Waterloo; M.A. (Environmental Planning) U. Waterloo and B.Ed. (Simon Fraser U.). April has been teaching English for over 17 years with the Kawartha Pine Ridge District School Board. Her calling came when she was 17 years old volunteering at a summer school in August Town, Kingston, Jamaica. April landed her first teaching position at Norwood District High School in 2000; she began teaching at Kenner Collegiate Vocational Institute in 2009, where she will stay connected as a “lifer.” She has her Senior Qualifications in English and History, and Additional Qualifications as a Librarian Specialist. April is devoted to creating a course that will be the voice of authentic indigenous authors who will proudly reveal the whole being– mind, body, spirit and heart. She believes our youth is more than ready to embrace different ways of knowing through exploration of aboriginal storytelling, which will help inspire them to better their relationships, to build inclusive communities, to care for the land, and to lead with fairness and justice. Kawartha World Issues Centre (KWIC) is a charitable global education and resource centre, serving Peterborough & the Kawartha area for over 27 years. KWIC makes connections between local and global issues through community and youth-led programs, and acts as a friendly ‘incubator’ for emerging and innovative community initiatives, which over the years has included GreenUP, Kawartha Food Share, Peterborough ReFrame International Film Festival and TRACKS Youth Program. 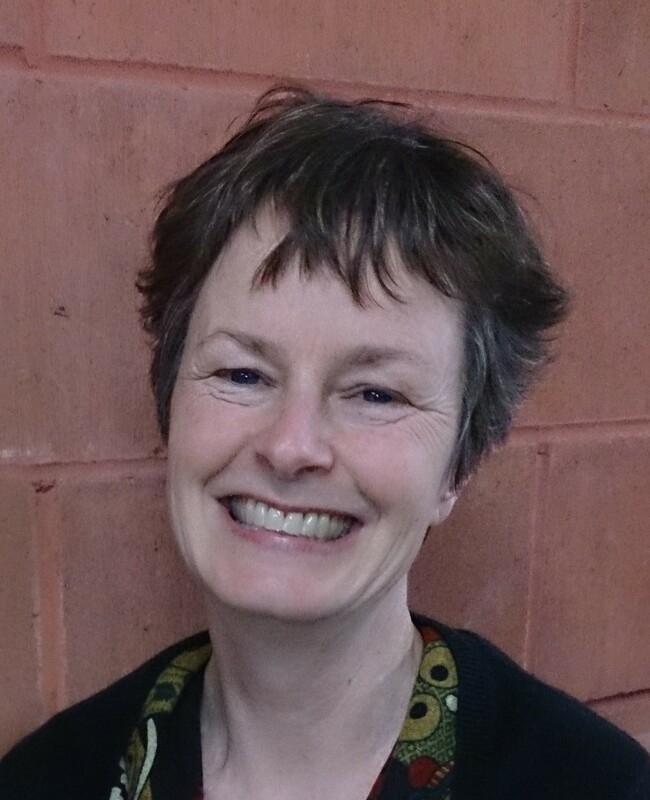 Julie Cosgrove is the executive director of Kawartha World Issues Centre, with over 28 years experience working in education and community development projects with diverse communities in Canada and abroad. Julie’s formal education includes an Hon. Bachelor of Arts from the University of Waterloo (Co-op), B.Ed. from York University, and a diploma in Community-Based Development from the COADY International Institute (St. Xavier University). At KWIC, Julie provides mentorship for youth programs, Seeds for Justice and TRACKS – a partnership program with Trent Indigenous Environmental Studies, as well as Sustainable Trent and Trent Oxfam student groups. She is excited to be involved in the YLS pilot project in recognition that youth are not only our future; they are our way forward. One unique feature of the YLS program is our strong connection to both expertise and resources at Trent University. Several faculty have informed this pilot project and continue to be a resource as we move forward. Trent University’s School of Education and Professional Learning is an exciting place to teach and learn through its Consecutive B.Ed. Program, the new Indigenous Bachelor of Education program, the Teacher Education Stream, the Emphasis in Teacher Education Program, Professional Learning opportunities for in-service teachers, and the Masters in Educational Studies Program. The School is one of very few teacher education program in the country that has sustainability and Indigenous education within its (mandatory) core programing. Building on Trent University’s recognized leadership in teaching and research in all areas related to the environment, the new Trent School of the Environment positions Trent University as Canada’s leading postsecondary environmental institution, offering students the chance to make their mark on this planet in a thoughtful and sustainable way. Trent Indigenous Environmental Science / Studies Program is an innovative and multidisciplinary program that brings together principles of both Indigenous knowledge and Western science through courses offered in the Indigenous Studies Program and through the Trent School of the Environment as well as unique courses within the program. The foundation upon which the program is based recognizes both the strengths and limitations of any single perspective, and seeks to develop interactive and integrative thinking to address environmental, health, and social issues. Fleming College’s Frost Campus School of Environmental and Natural Resource Sciences (SENRS) offers thirty one full-time programs in the environmental and natural resource sciences fields. It’s active, outdoor, hands-on learning, with field trips, field schools and projects will challenge students to put new skills into practice. The Ontario Trillium Foundation (OTF) has identified the most important changes that should happen in Ontar io over the next decade for communities to be more healthy and vibrant. The cumulative impact of all the OTF investments made will be reflected in positive changes to the Canadian Index of Wellbeing – and will improve the quality of life for people in Ontario. YLS is grateful to have secured an OTF SEED grant to facilitate program development and start up. The YLS grant addresses the “Green People” (Encouraging people to support a healthy and sustainable environment) and “Promising Young People” (Youth are involved in creating solutions for challenges facing their communities) action areas.